Martin Bucheit is a strength and conditioning coach that progressively developed into an applied sport scientist, with a main emphasis on football (soccer). 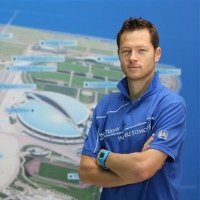 Martin Bucheit’s has focused on intervention strategies and profiling assessments that may improve players’ physical and technical potential, using a scientific approach whenever possible. Using his background in strength & Conditioning (2 Msc), statistics (1 Msc) and a PhD in exercise physiology, he has developed different training 'tools' such as the 30-15 Intermittent Fitness Test to program high-intensity training and the 5-5 running test to monitor training status using heart rate variability. Martin Bucheit also has extensive experience with match analysis (GPS sytems) and talent development and identification (i.e., elite soccer academies). He has also Authored total >85 papers in Peer reviewed Journals (>55 as a first author). Improving the determinants of team sport performance, high-intensity training, time motion analyses and the application of heart rate variability to monitor training status.